After the success of the first edition (2016), we are organizing a new exciting event on gallium nitride, the GaN Marathon 2.0. Several invited speakers from all Europe (plus some from overseas) will discuss the latest advancements in gallium nitride technology for microwave, mm-wave, 5G communications, power conversion, and optoelectronics (LEDs and lasers). Informal talks (back-to-back, as in a marathon) will be given, and the discussion will be favored by frequent breaks and social lunches/dinners. This time, we also encourage students/postdocs/researchers to submit their posters, that will be presented during a dedicated dinner session. Presenting a poster at the GaN marathon will ensure in-depth discussion with top-researchers in the field, high-level networking, and a lively atmosphere. 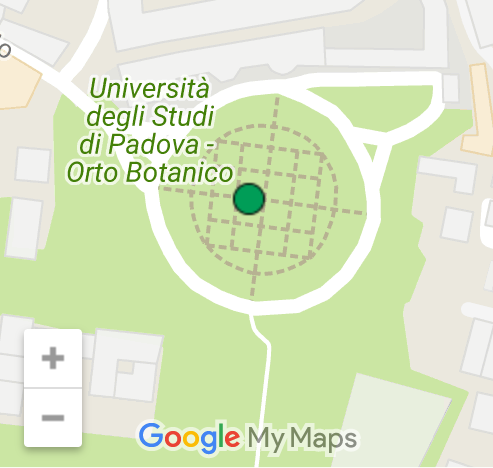 The event will be held in a unique location, the conference center at the botanical garden of the University of Padova, the oldest university garden in the world to have retained its original location and layout over the centuries. Organizing Committee: Matteo Meneghini, Carlo De Santi, Enrico Zanoni, Gaudenzio Meneghesso, Fabiana Rampazzo (University of Padova). Registration fee: 350 € (250 € for students), including coffee breaks, the dinner of April 18, the lunch of April 19.
by air: Treviso "Antonio Canova" Airport. This airport serves low-cost airlines. Travel to Padova (62 km) by La Marca coach until 8.30 pm or by train. The airport is linked to the train station by ACTT bus no. 6. Since 1997 the Botanical Garden (1543) has been part of the Unesco World Heritage list as a cultural landmark. 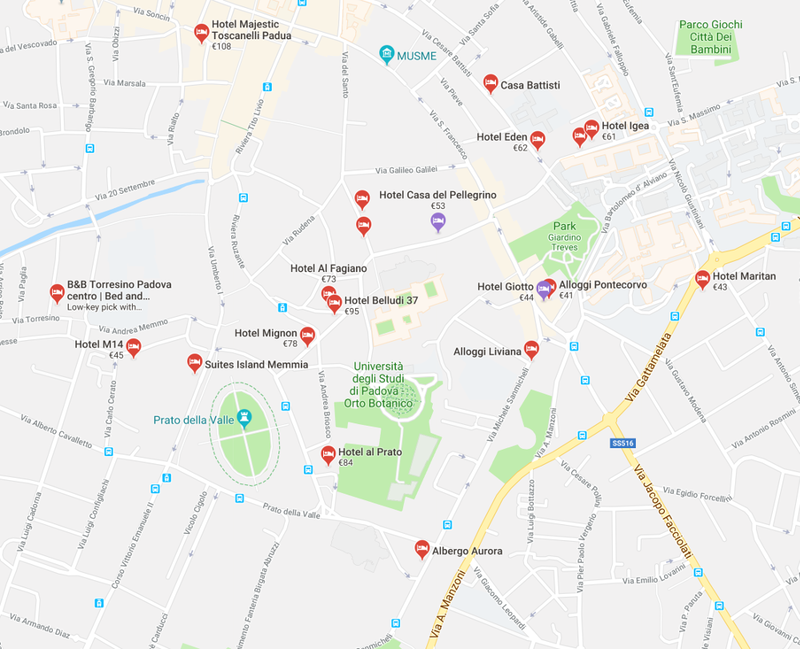 The listing was justified by Unesco on the following grounds: “The Botanical Garden of Padua is the original of all botanical gardens throughout the world, and represents the birth of science, of scientific exchanges, and understanding of the relationship between nature and culture”. Since September 2014, new areas representing the different climates across the Planet have opened to the public, together with a modern conference center. The species in the Biodiversity Garden are about 1,300. They live in environments sharing the same humidity and temperature characteristics, simulating the climatic conditions of the planet's biomes, from tropical to sub-humid, temperate and arid zones.